According to folklore, in 1670, in Cologne, Germany, the choirmaster at Cologne Cathedral, wishing to remedy the noise caused by children in his church during the Living Crèche tradition of Christmas Eve, asked a local candy maker for some sweet sticks for them. In order to justify the practice of giving candy to children during worship services, he asked the candy maker to add a crook to the top of each stick, which would help children remember the shepherds who paid visit to infant Jesus. In addition, he used the white color of the converted sticks to teach children about the Christian belief in the sinless life of Jesus. From Germany, the candy canes spread to other parts of Europe, where they were handed out during plays reenacting the Nativity. As such, according to this legend, the candy cane became associated with Christmastide. A candy maker in Indiana wanted to make a candy that would be a witness, so he made the Christmas Candy Cane. He incorporated several symbols from the birth, ministry, and death of Jesus Christ. He began with a stick of pure white, hard candy. White to symbolize the Virgin Birth and the sinless nature of Jesus, and hard to symbolize the Solid Rock, the foundation of the Church, and firmness of the promises of God. The candy maker made the candy in the form of a “J” to represent the precious name of Jesus, who came to earth as our Savior. It could also represent the staff of the “Good Shepherd” with which He reaches down into the ditches of the world to lift out the fallen lambs who, like all sheep, have gone astray. Thinking that the candy was somewhat plain, the candy maker stained it with red stripes. He used three small stripes to show the stripes of the scourging Jesus received by which we are healed. The large red stripe was for the blood shed by Christ on the cross so that we could have the promise of eternal life. Merry Christmas to All! And to all a Good Night! 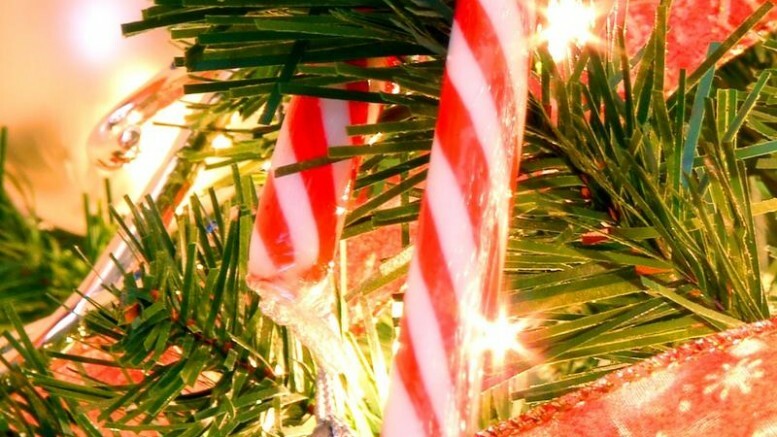 Photo Credit:”Candy cane on tree” by Matt Reinbold – http://flickr.com/photos/furryscalyman/333307292/. Licensed under CC BY 2.0 via Wikimedia Commons. Be the first to comment on "Christian Origins of the Candy Cane"